Like many people, I have an addiction to Pinterest . It’s a brilliant and useful tool to find inspiration for projects and things you’re interested in. 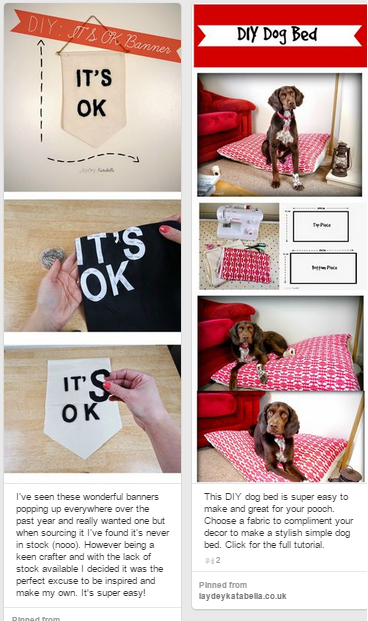 I recently had the privilege of attending a Pinterest workshop where I discovered I’d been using it all wrong! So today I thought I’d share with you some tips and ideas I learnt to feed your inner pinner! If you’re a blogger or have a website, one of the simplest and easiest ways to get your pins discovered is with a “Pin It” button on your website. The bigger the better quite frankly as this will encourage your readers to pin your content, thus others discovering your content. Pins and Repins can also be discovered through the home feed of your followers. Everybody loves a helpful pin! From DIYs to life hacks, they really are awesome. Giving detailed descriptions is also really helpful for example, a pin of a rustic wedding invitation with the description “wedding invitation” isn’t very helpful compared to “the perfect DIY wedding invitation for a rustic bohemian style country wedding. Made from DL card and paper doilie” Which one is more helpful? 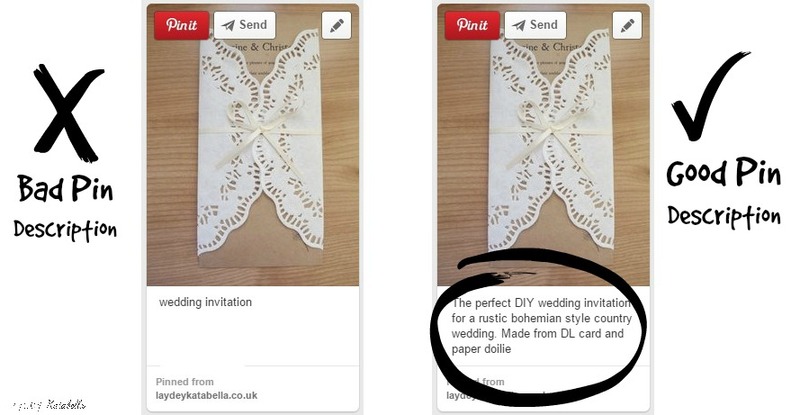 People searching for DIY rustic wedding invites will find the second description much more helpful and it’s much more searchable this way. Text overlays are another great way to create a helpful pin. It instantly tells you what it is, thus whether or not it is relevant and helpful to what a person is searching for. 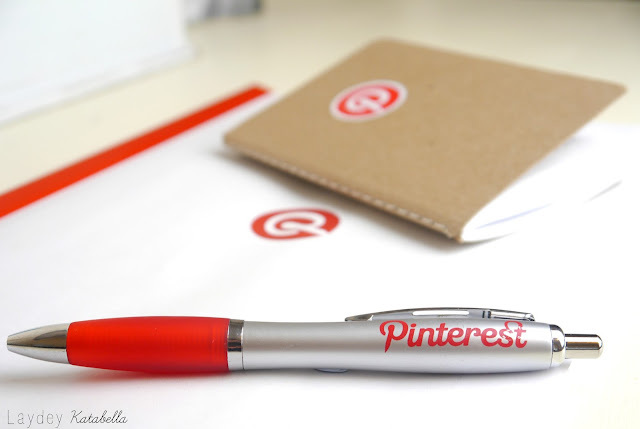 Pins that are made vertically flow much better for a Pinterest experience. This is because Pinterest organizes images vertically, stacking them one on top of the other in a grid. As most people use Pinterest on their mobile phones, vertical Pins just look better than horizontal ones. They're particularly great for DIY and how-to pins. Be authentic in your descriptions and think about the titles for your boards. Consider what other pinners search for. No one ever searches for example “my wedding” do they? Instead try “rustic wedding ideas” or “country wedding inspiration”, it’s much more searchable. Hashtags are pointless. They’re irrelevant on Pinterest just so y’know. Pin on a regular basis. This will keep your audience engaged! And don’t worry about followers. Pinterest isn’t a social media tool, people are more interested in your pins than your actual profile. It’s nothing personal! Be creative and theme boards, dragging current and this seasons boards to the top of your profile and out of season boards (i.e. Christmas) to the bottom of your profile. Who wants to see Christmas in July? The best boards contain stunning imagery that grabs people’s attention. Show what inspires your from people to places, objects to ideas. There are so many options and ways to get creative. So those are the tips and knowledge I picked up from the Pinterest workshop. I hope they've helped to give you ideas and information on the proper way to pin! Have you fed your inner pinner today?